Top story of an old warehouse on the outskirts of downtown. I bet there are a lot of stories in there. 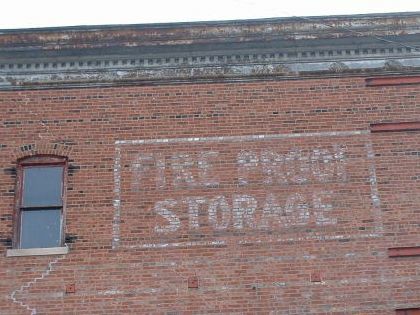 What do you think is in the "fire proof storage?"